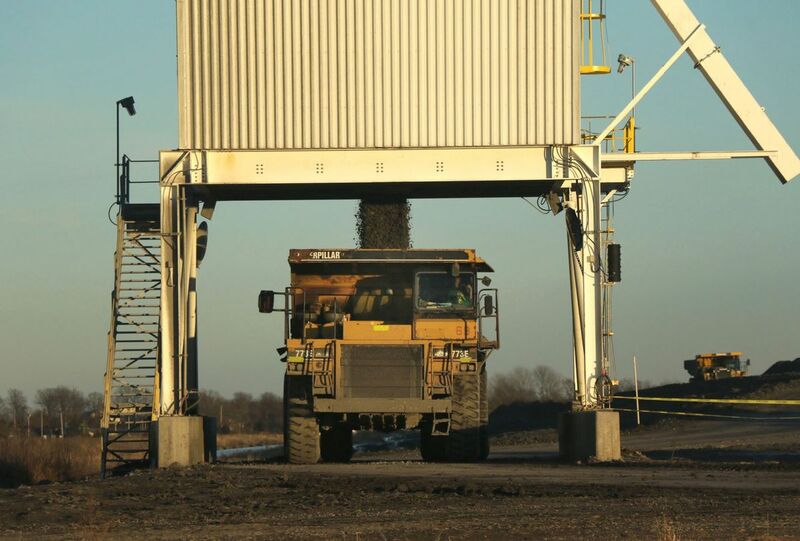 Coal is poured into a dump truck at Hamilton Country Coal near Dahlgren, Illinois before its eventual shipment from the facility. Photo by Brice Gray, bgray@post-dispatch.com. CHRISTOPHER, Ill. • “Coal has been this county,” says Tom Vaughn, a lifelong resident of Southern Illinois and a Franklin County Board member, before rattling off a brief history of the industry’s local prominence. Decades ago, he says, the county supported seven mines, then just one and then zero, before one eventually reopened. Just to the southeast is Saline County, the state’s top coal producer, where 1,090 coal industry jobs were lost in the last five years — the seventh-most of any U.S. county, according to recent data from S&P Global. “I’m shocked, ‘cause I’ve never known anything but Democrats here,” Vaughn said. But now, given Trump’s pro-coal rhetoric, many people across the region express optimism about the incoming administration and newfound hope for the coal industry, which has faced years of challenges and cutbacks. They see some hopeful signs. Hamilton County Coal, an underground mining operation near Dahlgren, added 30 jobs this month, citing an “uptick” in the market, according to general manager Ezra French. The mine, owned by Alliance Resource Partners, had laid off about 200 workers in early 2016. Harrisburg’s Dale Fowler, a Republican state senator-elect who ousted a long-time Democratic incumbent, says the new jobs at the Hamilton County mine are just one sign of newfound industry optimism. Trump, industry supporters say, will be able to help coal by undoing President Barack Obama’s policies such as the proposed Clean Power Plan, which could extend the lifespan of coal-fired power plants endangered by the plan’s targeted limits on carbon dioxide emissions, thereby propping up demand for the fuel source. But there are skeptics, including some coal industry insiders, who say the momentum of market forces and technology will be tough to overcome. Read more on the campaign for a coal severance tax by clicking the links below.